In which we completely ignore the to-to list! We’re having a lovely long weekend in the garden. But, as is our wont, we’ve started one job, which reminded us of another, then been distracted by something else, until we’ve ended up doing a completely random bunch of stuff. After years of staking my peas with a labyrinthine system of strings and counter strings, which I have to train the peas up, much as one would train a puppy (but that’s next week’s story), this year, I have bitten the bullet and bought a whole roll of wire mesh. Usually, I plant my rows of peas north/south, as I think that would give them more sun, but this year I fitted them in around what was still kicking on from my summer garden, so I hope they are impressed enough with their new trellis to thrive anyway, despite some extra shade. This always seems a very unfruitful time of year. 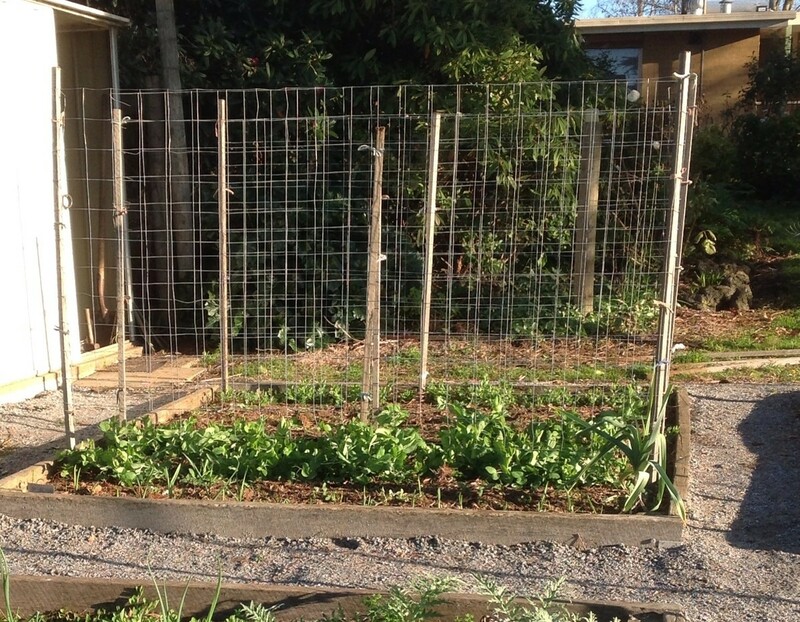 The summer bounty is all in, but the winter crops aren’t producing yet. I do have kale, which I’ve continued to grow after last year’s adventures of eating from home and not shopping. I also have lots of Warragul greens, which I noticed on TV, being used by a chef, so they must be good! 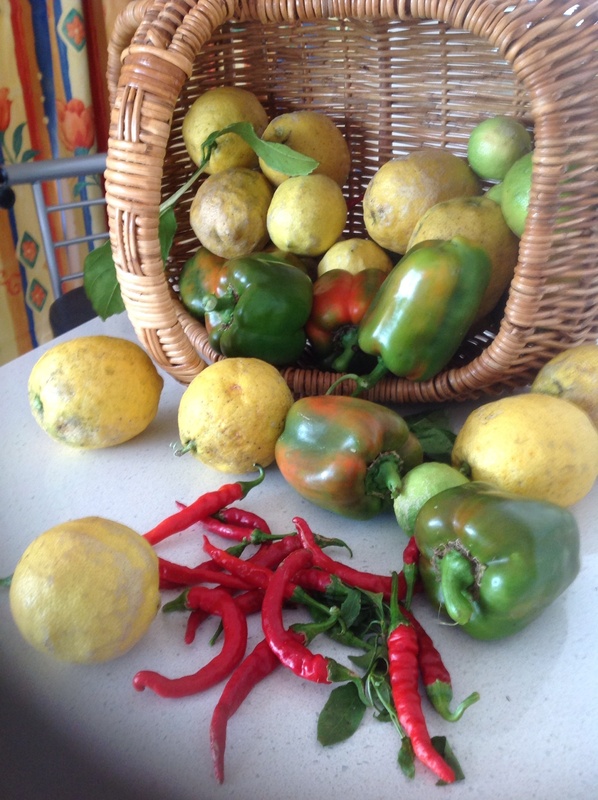 Anyway, I decided to go out and see what I could rummage up, and found some capsicums which were not changing colour any more, due to the cold, loads of lemons, and the last of the chilli harvest. 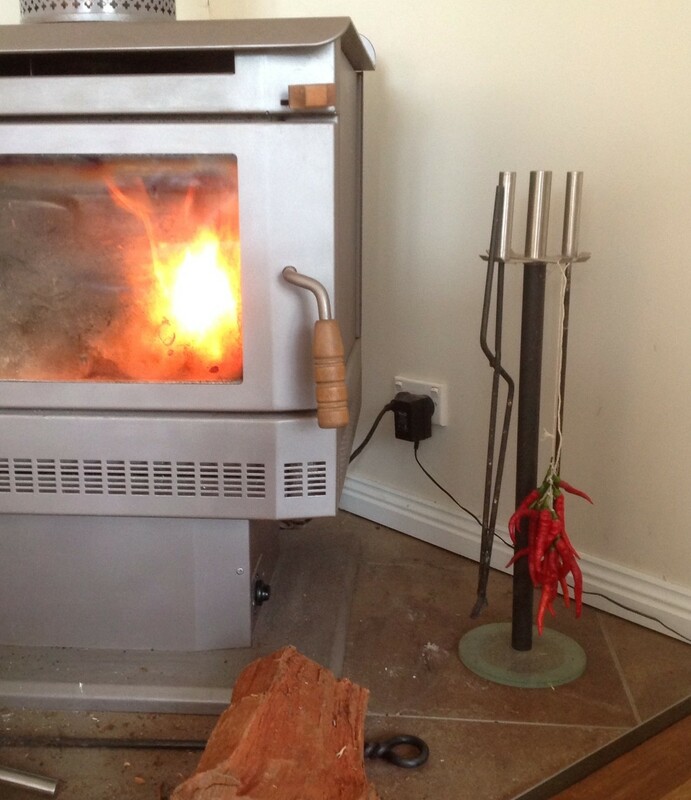 The chillies have been strung up, and I’ve hung them near the wood heater to dry. They may also end up smoked, given my fire lighting skills. Over the past year or so, we have been having a running argument with a passionfruit vine. 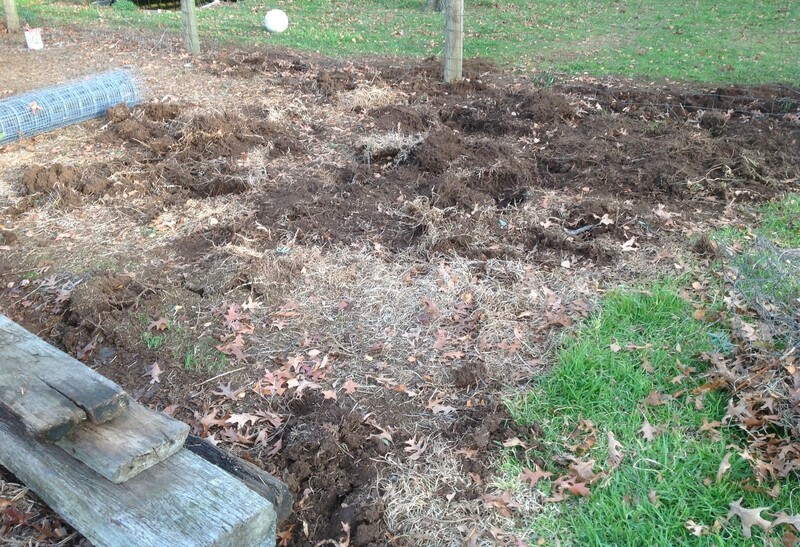 The vine stopped producing a few years ago, but after we pulled it out, the rootstock took on a life of its own. Despite attempts with poison, secateurs, and spades, it lives on. So yesterday, as part of our aimless trail, we attacked the roots in earnest, to a soundtrack of me thinking up possible blog titles for the activity (“In which we re-enact the movie Caddy Shack”,” In which we make the strawberry fiasco look like the garden of Eden”,” In which we discover a resident mole”…) SURELY, this time we have it licked! The roots of the passionfruit. Surely we have killed the beast! 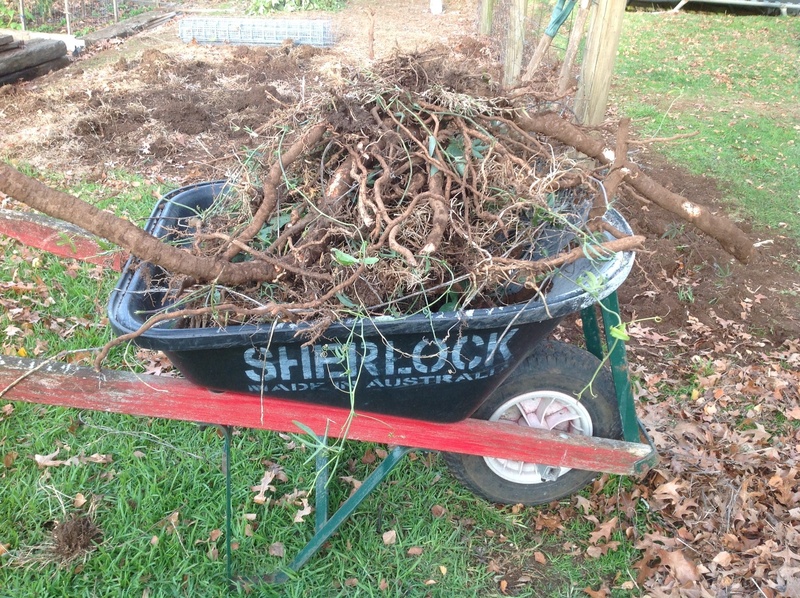 Finally, the Aunty Collector has been putting his (considerable) energies to good use, digging a hole for our bird feeder. 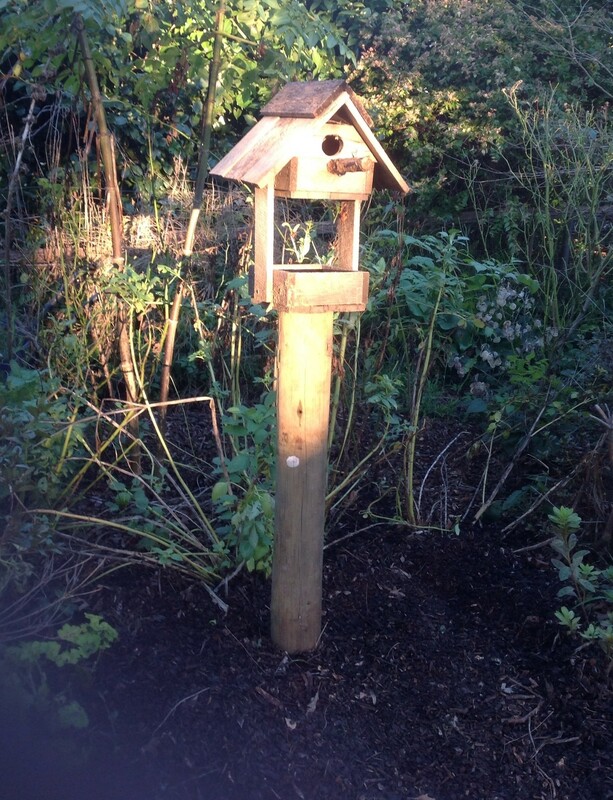 I have a love/hate relationship with birds in my garden, but I love this feeder, and perhaps some seed in here will keep them out of my peas. Well done, son – it looks great!